Instructions only valid for first generation vinyl V1. Check out your order. In it you can find out if your vinyl is first-generation V1. At the end of the name of your vinyl, you must specify V1. If V1 is not listed by the end of the name of your vinyl, you should follow This other tutorial. 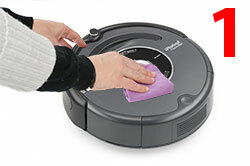 If cleaned with a damp cloth, allow to dry the Roomba before continuing. It separates the carrier from its support. Do it carefully so that it does not stick to if same. It beats the conveyor vinyl. It is advisable to carry out this work between two people to leave the fewest number of possible bubbles. Never take-offs conveyor to reattach it. If you are not perfect, don't worry. It is better to continue with the process, you'll see how the end result will be good. 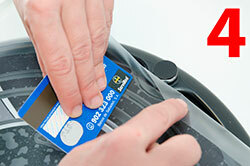 Once we have stuck to the vinyl conveyor, tighten it evenly with the help of a cloth or a credit card. If it is a bubble don't worry. It is important that it is evenly glued to correctly perform the next step. Take off the transporter with vinyl leaving its adhesive part exposed. 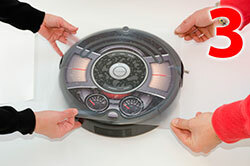 We already have the vinyl stuck to the carrier prepared to be placed on our Roomba. 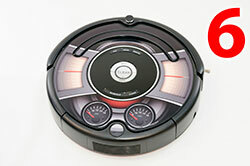 We now turn to hit our Roomba, vinyl It is almost essential to do it between two people. 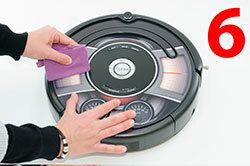 Using the conveyor, laying the vinyl very carefully ensuring that all is well centred in our Roomba. If not is the first well don't worry, you can peel it off and reattach it until everything is perfect. Do it carefully posing it soft, loosely. 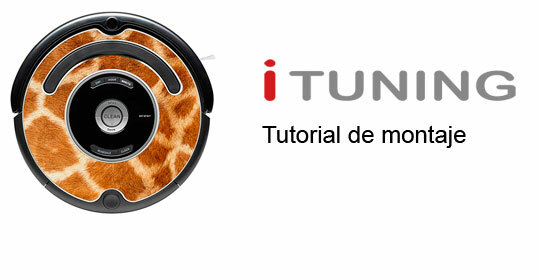 It uses the reference of the handle to be sure that everything is centered. If it has not been good, repeat the operation carefully. 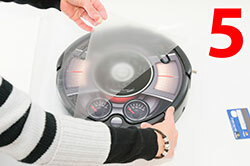 With the help of a credit card, we make pressure on the surface of the carrier to secure the vinyl evenly to the Roomba. 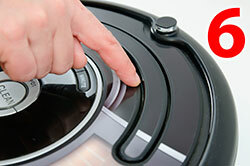 It is important to secure the edges so that to take off the brush vinyl remains on the Roomba. Handle recess is normal that it is not stuck, we will review it later. Well press the part of the front sensor. 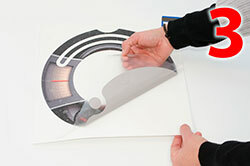 It is thinner and it is important that it is properly secured so it not take off to remove the conveyor. It is time to remove the conveyor. 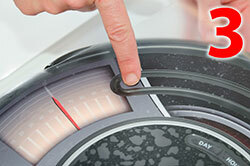 Peel it slowly and carefully, making sure that the vinyl always is glued on the Roomba. Pay close attention to the part of the front sensor. 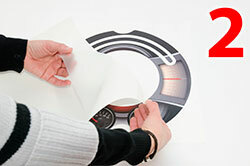 It is very thin and we go to press with your finger for vinyl remains in the Roomba. 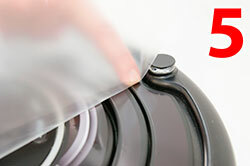 Once removed the conveyor, proceed to glue the vinyl to the recess in the handle. You can do it with your finger by pressing gently, making movements concentric from the center of the robot so that air comes out from the front. 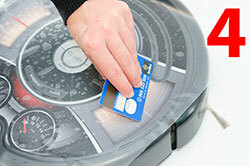 If any small wrinkle, you can hide by tightening with a.
Wrap a credit card with a soft cloth and slip over the surface of Roomba by removing any bubbles. This procedure is simple, if you follow these steps, everything is perfect. If you have any questions, we can assist you in the 974215071.